Garena ROE: Ring of Elysium is a Shooter Survival Battle Royale style game created by Tencent. The game is currently available in Thailand and Indonesia, published by Garena. It’s considered as one of the hottest battle royale games recently, and it can be different from other previous games thanks to some interesting features, simple gameplay, gorgeous graphics, and more. Let’s take a deeper look at ROE game now! 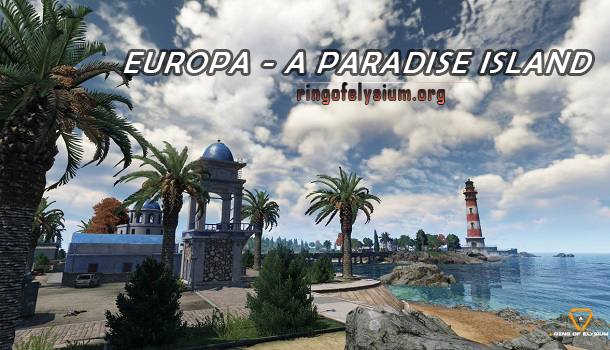 Ring of Elysium game is not just a shooter game where you have to focus on killing your opponents, it’s also about a complex world where unlucky people have to survive by getting through all dangers for their life in the real world. In previous games, you just need to destroy enemies, prolong your life until you become the last man standing. But in ROE, if you die, your life will be ended in the real world too, so it’s very hectic and brutal. Another different point of ROE game is that instead of using a helicopter, now players have to use a spaceship, then use a parasailing to land down on a location on the ground. 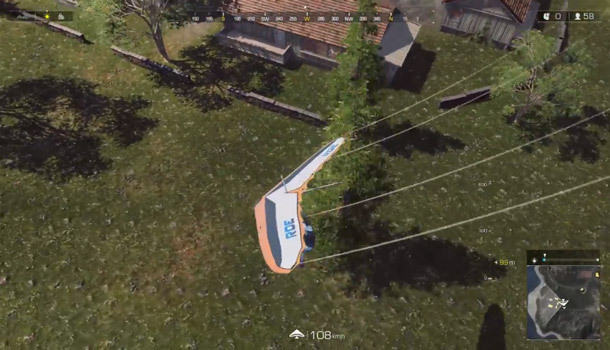 The players won’t utilize a parachute just like in other survival games. There are so many places in this ROE game for the players to explore while carrying out their missions. You have to make your way through many locations trying to collect weapons, ammo, and some useful equipment for your survival. They are all scattered everywhere, so you can go to many places to gather them and enjoy the views there at the same time. You can move from the old factories to the beautiful seashores, or great tribes, or high hills and more. 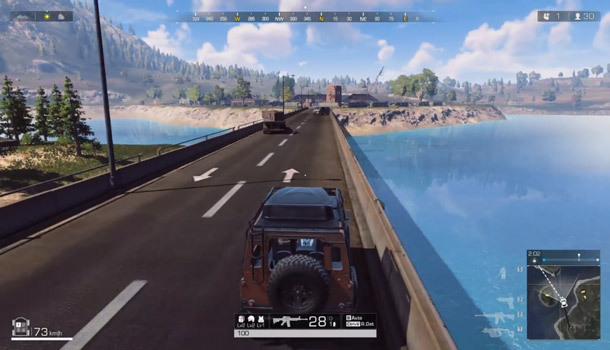 The graphics in ROE game are made by QuickSilver X engine – a new kind of branch technology of Unreal, allowing the improvements of the PC performance, and this will help the graphics of the game reach the climax when operating. ROE can be the first survival game that has an exotic climate that keeps changing in an interesting way. For instance, when the players jump out of the spaceship, they can see that the sky is still clear and blue, but then it becomes foggy, then a heavy rain comes, causing them to be unable to handle it in time. This is such a great experience! In addition, the players can feel that the wind is blowing by looking at the shaking grass. Players also are able to interact with in-game objects, or they can totally break down the wall using vehicles, shoot to break the doors and more. If you are hiding in a shelter with the door broken, you should move to another place as fast as possible because that shelter isn’t safe anymore. Your enemy can break into it to shoot you down in a brutal way. Another thing you need to remember is that you mustn’t jump out of a vehicle that is at a high speed, or else you will be destroyed. And that’s all! Those things mentioned above are crucial elements that make ROE game better than other Battle Royale style games. 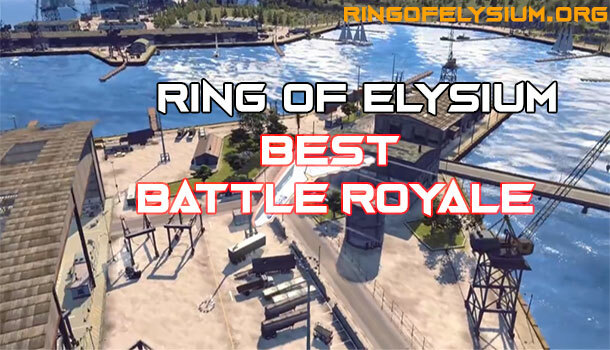 If you are a fan of this genre, make sure you won’t skip Ring of Elysium. Have fun!